21 years after that photo was taken, Markle is set to be a new member of the royal family. She's already moved out of her Toronto home and into London. Though she won't be living at Buckingham Palace, she won't be far off. She and Prince Harry will be shacking up together at Nottingham Cottage in Kensington Palace, where they'll have the Duke and Duchess of Cambridge, Prince George, Princess Charlotte, and the future royal baby as neighbors. After officially announcing her engagement to Prince Harry on Monday, Markle is swiftly making adjustments and acclimating to royal life. 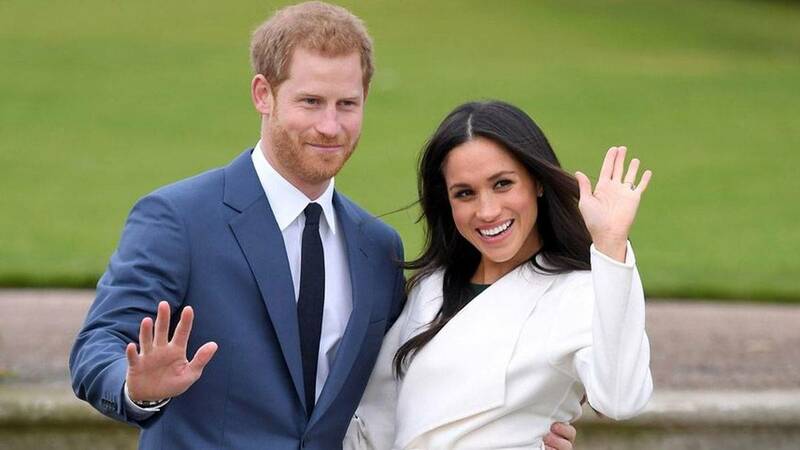 The actress left her hit TV show, Suits, after starring in it for seven seasons, and is already set to participate in her first public engagement with Harry on Friday. Markle also plans to get baptized and confirmed into the Church of England before the royal wedding in 2018. She'll also become a U.K. citizen, but it's unknown whether the Los Angeles native will maintain her American citizenship, too. In a little over two decades, Meghan Markle has gone from royal tourist to future duchess. Cheers to that.